This extraordinary holiday takes you off the beaten track. 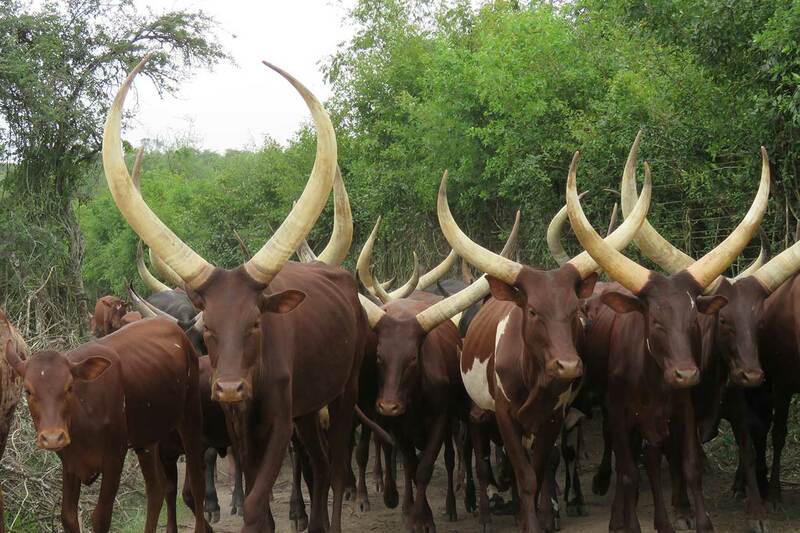 You’ll gain a deeper insight into daily life and the traditional and modern culture of Uganda and its friendly people. The tour offers you the chance to hike some of the country’s magical mountain peaks and enjoy spectacular views. 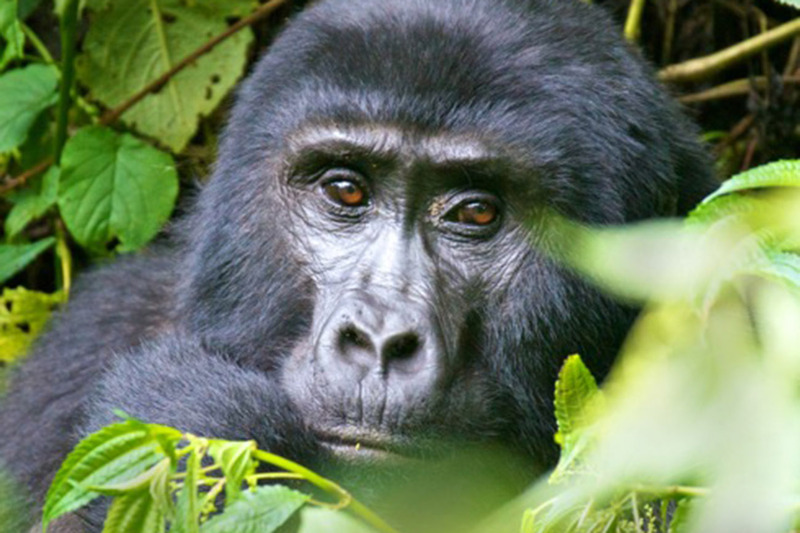 You’ll also see a host of wildlife, including Uganda’s iconic mountain gorillas – a very special experience. You’ll enjoy fascinating excursions, including the rare privilege of going behind the scenes with the Batwa, or forest pygmies. This will give you the chance to learn about their history and amazing way of life and to meet some of the local people. Prepare for unforgettable adventures in the wild! Day 4: Hike the eclipse Monument. Travel to Kisoro district. 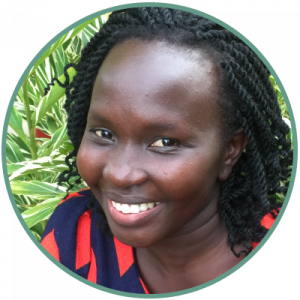 Day 9: Travel to Lake Bunyonyi. Go for a canoe ride on the lake. Travel to Uganda arriving at Entebbe International Airport. Your guide will be there to welcome you and will be with you throughout your holiday. Transfer to your hotel, a short drive from the airport. At 07:00 you will travel to Mabamba swamp, 1.5 hours away. 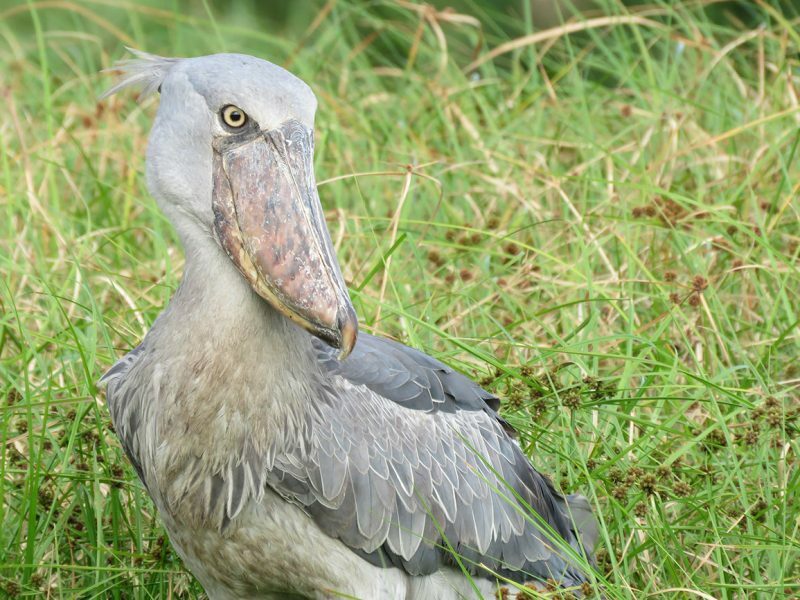 Take a local fishing boat, begin the search for Uganda’s most sought after bird, the Shoebill, and learn from your guide how the local community has benefited from conserving the swamp. 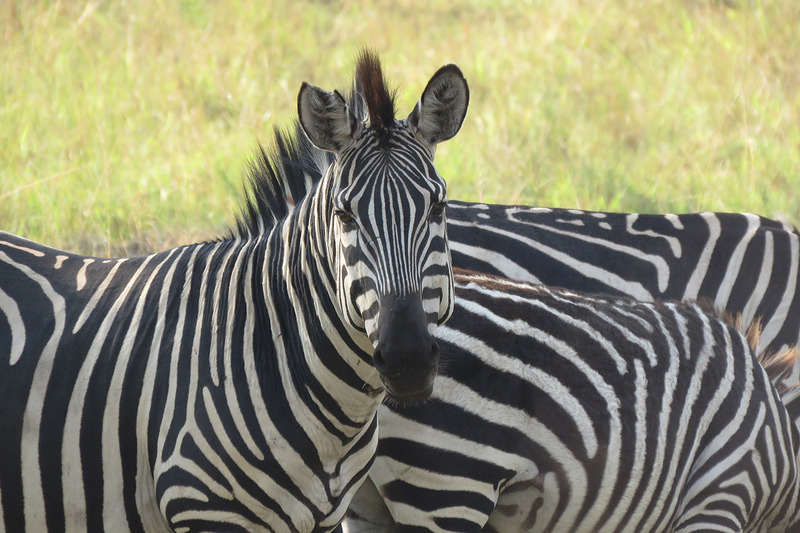 After lunch, transfer to Lake Mburo National Park. Start your day with a 1 hour drive to the starting point for your hike to the 1520 AD eclipse monument in Biharwe. After lunch, transfer to Kisoro on the slopes of the stunning Virunga Volcanoes, pausing en route at the Great Lakes museum if time allows. On arrival, relax in your lodge and prepare for the hike the next day. Prepare yourself for a challenge. The journey to the summit of Gahinga mountain volcano takes around time of 6 hours to ascend and descend. 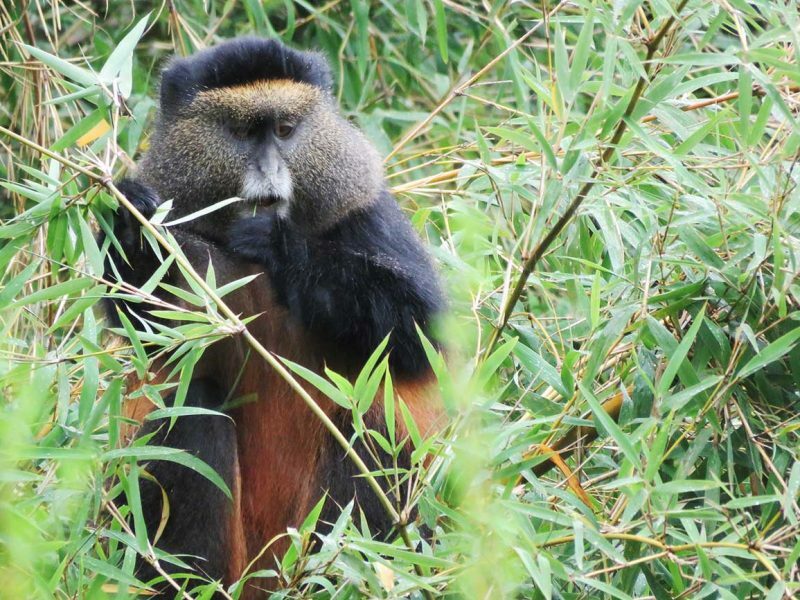 Walk through the bamboo forest past the biggest swamp of the giant lobelia and reach the summit; you will be richly rewarded with extraordinary views of the Virunga volcanoes, especially if the weather is good. Stand at the point where three countries, Congo, Rwanda & Uganda, meet, before descending and returning to the lodge for a well-earned dinner and rest. Day 6: Search for the shy golden monkeys. 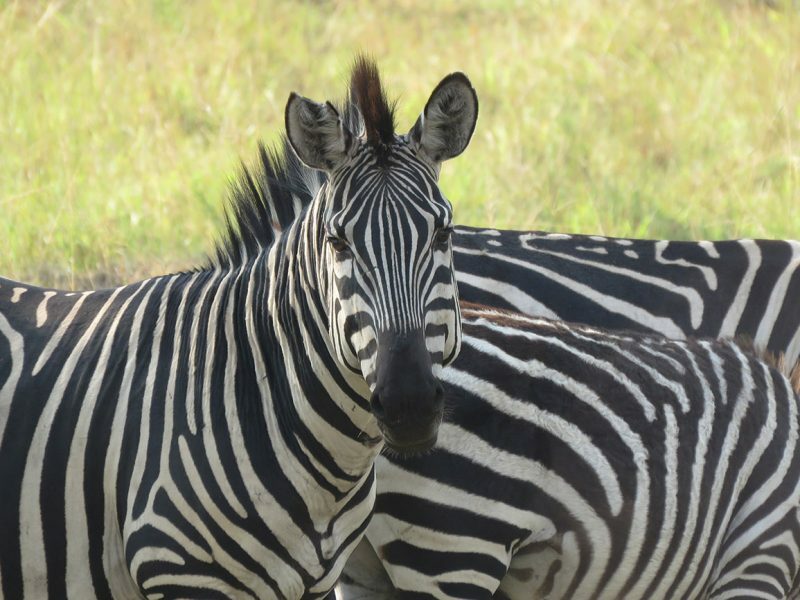 Explore one of Uganda’s most scenic national parks, located in the South Western region, on the slopes of the Virunga volcanoes. 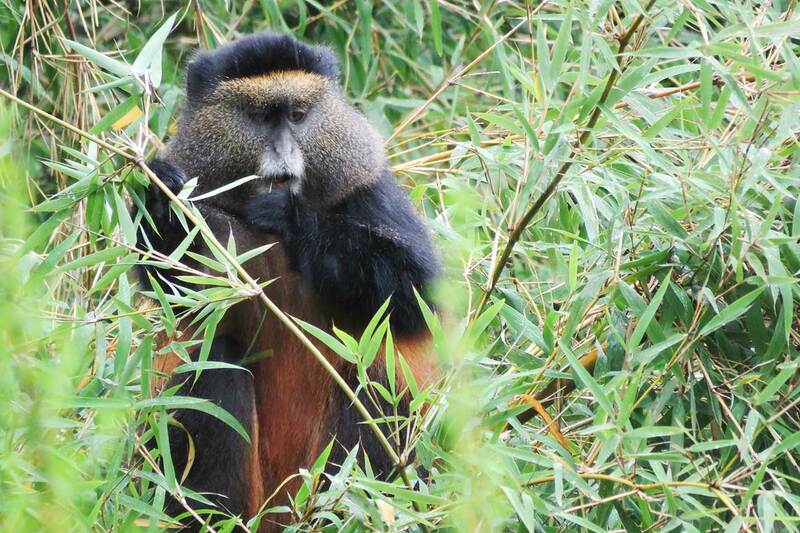 Search for the rare, beautiful golden monkeys in the rich vegetation, also home to mountain gorillas, elephants, bushbucks and other mammals. This is a popular a birding site with many Albertan rift endemic bird species. 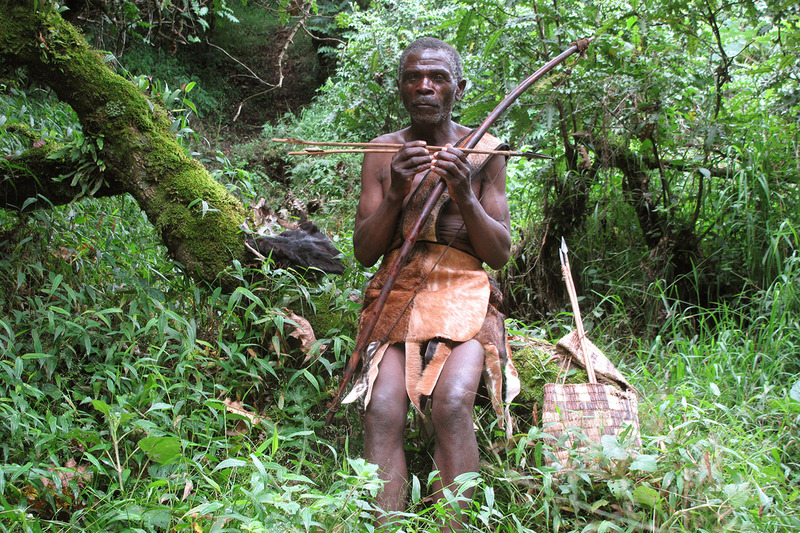 Visit the Batwa pygmy tribe, the traditional ‘forest keepers’. This unique community has a long and rich culture and you will spend time with them as they tell their interesting story of life in harmony with the forest. Transfer to Bwindi Impenetrable National Park. 07:30 Prepare yourself for a once-in-a-lifetime experience in the forest, tracking Bwindi’s legendary gentle giants, the endangered mountain gorillas. After the briefing, join your group and trek through the forest in search of your gorilla family; this can take anything from 2 to 6 hours. Once you find them, spend a magical hour watching these enchanting creatures going about their daily business in the wild. Travel to the serene Lake Bunyonyi for a well-deserved rest, enjoying beautiful views along the way. After lunch, explore the area; take a canoe trip around the 29 little islands, many of which have a traditional story attached to them. You can also stretch your legs on a nature walk or go on a cycling trip. The views over the lake and hills will delight. Return to Kampala, 5 hours away, passing through the lush green countryside, tea plantations and small trading centres on the way. Stop en route at the equator for photos with a foot in both hemispheres. On arrival, relax at your hotel and enjoy the vies over Lake Victoria. Enjoy a city tour, taking in the sights and sounds of down-town Kampala. 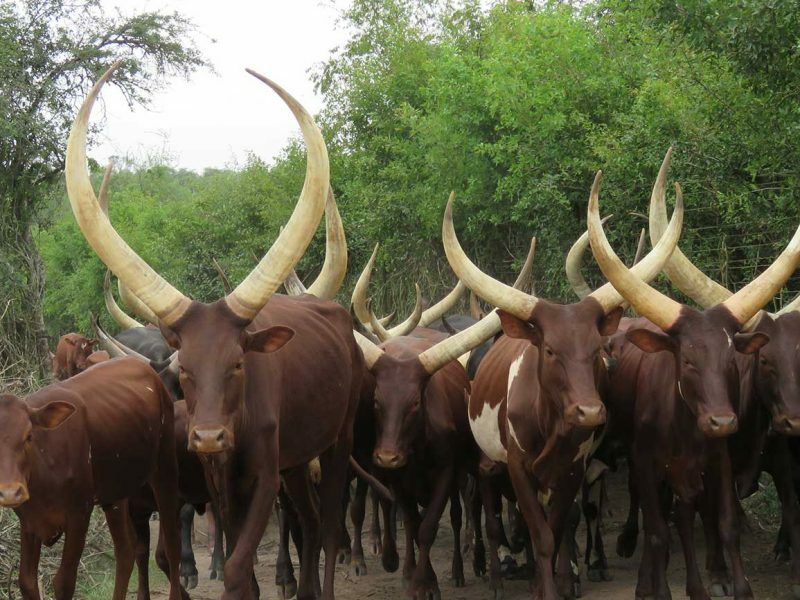 Visit religious, cultural or historical sights; explore the craft markets or local art galleries or visit the Uganda National Museum. The choice is yours. In the evening, enjoy a traditional performance of the music and dance from various Ugandan tribes. 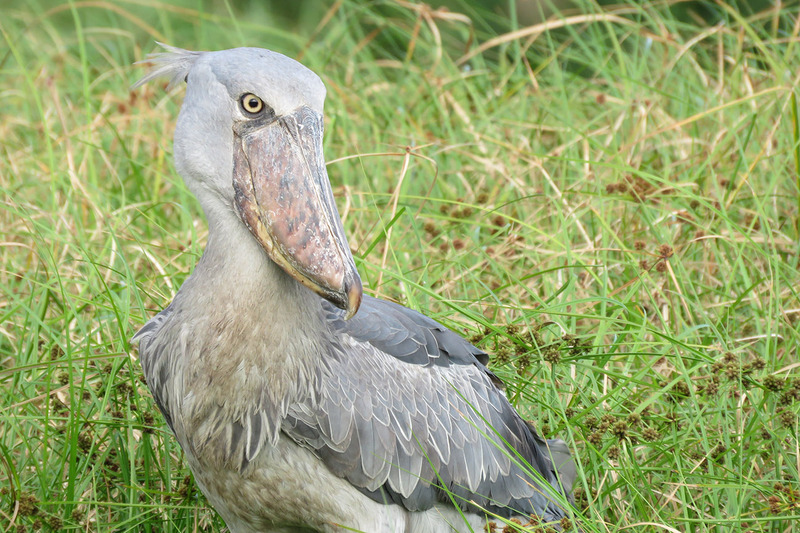 On your final day, take a leisurely drive to Entebbe and enjoy a local lunch. Spend the afternoon walking around the beautiful botanical gardens on the shores of Lake Victoria. Your guide will drop you at the airport in time to check-in for your flight home.